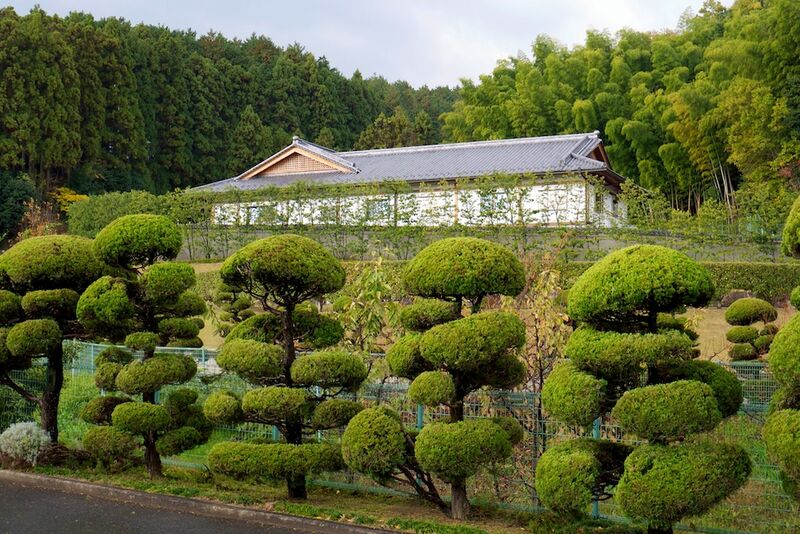 Driving around Nara prefecture, we came upon this place. 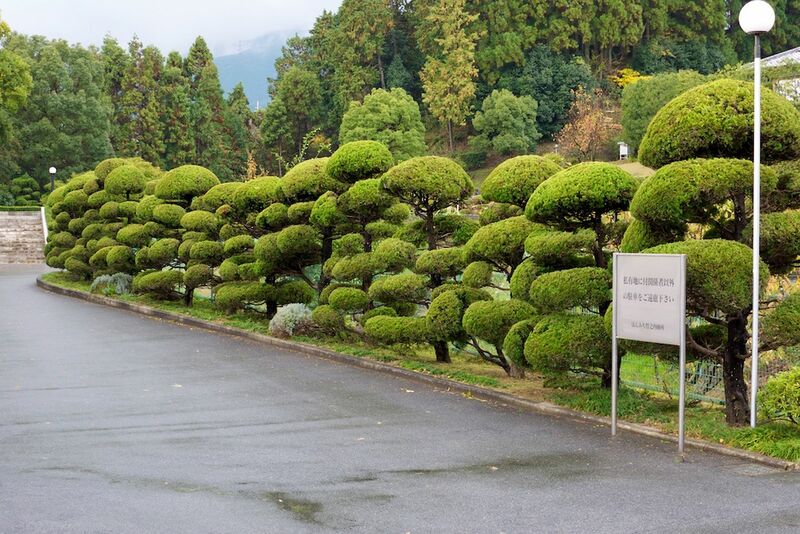 Not sure what it is, but I liked the screen of (most probably, but not definitely) Quercus myrsinfolia (Japanese white oak) and the Juniperus chinensis kaizuka (Chinese juniper) in the foreground. 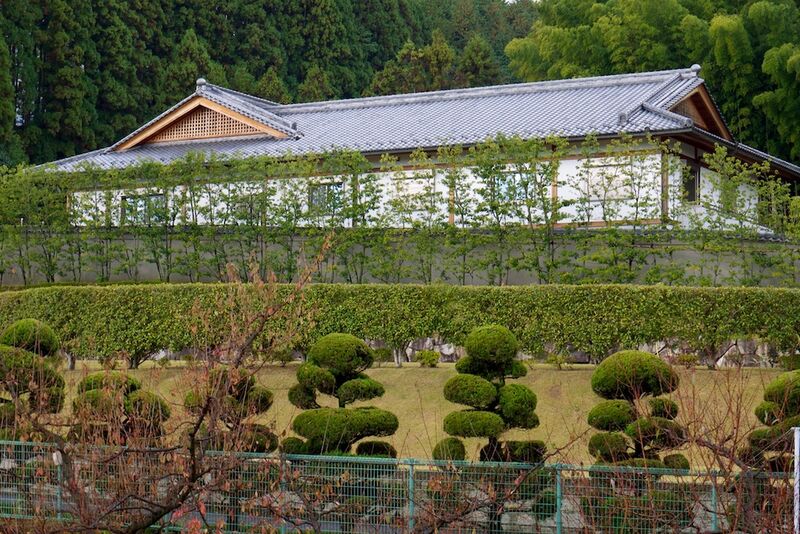 The next picture has a typical Japanese backdrop of bamboo and Cryptomeria japonica in the hills behind.